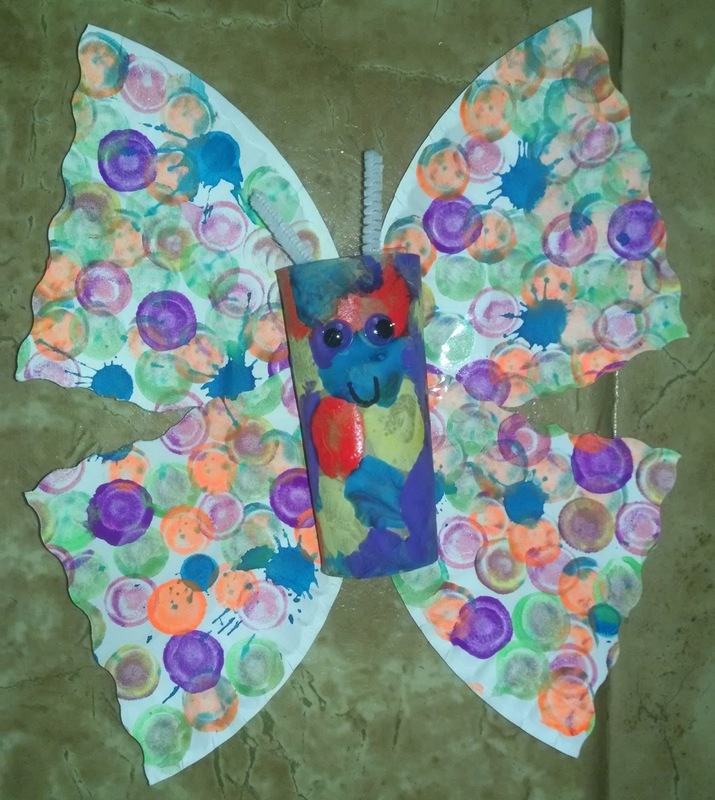 I was searching for a cute spring craft for the kids to do when I remembered making these toilet paper roll butterflies last year (although I don't remember them turning out quite this cute). What I loved the most about making these is that I already had all of the supplies in my art shelves! We use our Project Scissors for quite a few projects. The kids love to practice their cutting with these as well because "they make it fun." We began with painting the toilet paper rolls. We chose to use our neon paints rather than pastels because the neons are a bit darker and cover up the cardboard color. While the paint dried on the toilet paper rolls, the kids got busy stamping (loudly) with the Dot markers. We let everything dry for a day. The kids tend to use A LOT of paint and do a lot of dotting all in one place so it tends to take extra long to dry. Once everything was dry, we put our butterfly together. We cut the plate into fourths. The edge of the paper plates were taped onto the back of the toilet paper roll (you chose the side which is the "back." For us, the backs were whatever the kids failed to cover in paint). Make sure to over lap the edges a bit so they look like wings. You can use glue for this part, but glue gets rather messy to use with the two and under crowd so we stick with tape as much as possible. The next step is to glue on googly eyes, cut the pipe cleaner into smaller pieces and tape them to the inside (front) of the toilet paper roll. To make them happy butterflies, I drew a smile on them (at the kid's request). The kids loved making these because they got to use their favorite paints and Dot markers. The only issue with this type of craft is that it's a multi-step craft that requires time away while things dry. Sometimes the kids lose interest in the craft when it comes time to finish it or they completely forget what we had been making. This craft is suitable for all ages. If you want a craft that the kids can do completely by themselves, I recommend doing this with kids 4 and up. 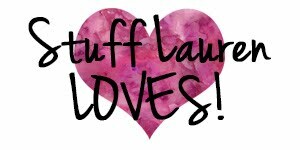 Have an idea for a craft you would like to see us do? Comment with your idea, picture, or a link and we'll try our best to get it done!